Stunning French Normandy inspired Tudor set on over three hilltop acres with sweeping lawns and scenic views. Exceptional design by Kenneth Nadler. Spectacular custom built classically designed and appointed 5 bedroom home with artisan craftsmanship throughout. 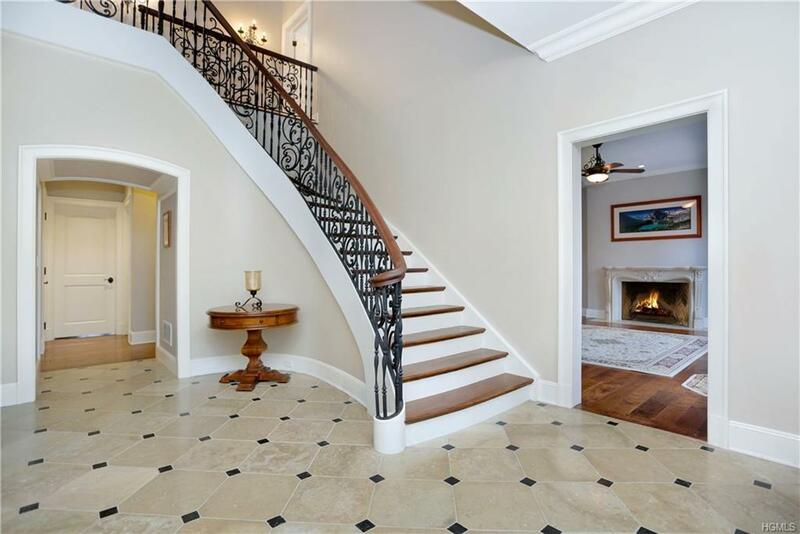 Two-story entry foyer showcasing curved staircase with custom iron railing and banister. Magnificent Honduras mahogany double front doors. First floor flows for easy everyday living as well as elegant entertaining. Second floor offers sophisticated master bedroom suite with stunning master bath, sitting room, 2 WIC's, spacious bedrooms and sophisticated baths. 1500 sq ft unfinished bonus space to make your own. Two inviting stone terraces (1500 sf) in front and rear. House sited with pool & pool house. 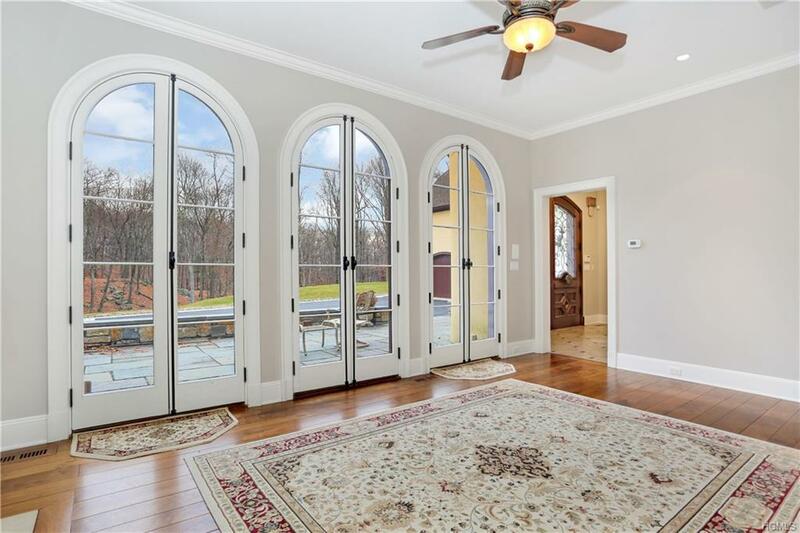 Numerous custom special features including walnut hardwood floors, extensive millwork, geothermal heating/cooling, radiant floors and much more. A truly one of a kind offering. 38 min Express trains to GC. 45 min drive to NYC. Listing courtesy of Aurora Banaszek of Houlihan Lawrence Inc..